After mating for the first time, most females of an Australian jumping spider are unreceptive to courtship by other males, and this sexual inhibition is immediate and often lasts for the rest of their lives, according to a study published October 18, 2017 in the open-access journal PLOS ONE by Vivian Mendez from Macquarie University, Australia, and colleagues. Females of many species can store sperm, which can then be displaced by or diluted with sperm from subsequent matings. Strategies for reducing this sperm competition include mating-induced sexual inhibition in females, and this has been found in many insects and spiders. In many spider species, females that have mated become unreceptive and aggressive to males. However, the long-term impact of mating on future sexual behavior in female spiders is unknown. Mendez and colleagues studied the mating behavior of 89 female Servaea incana jumping spiders that were caught as immatures in the wild in Australia, so they were virgin when tested in the laboratory as adults. Each female was paired with a different male daily for the first 10 days of her adult life, and every ten days thereafter for the rest of her life. The researchers found that the first mating induced sexual inhibition in most of the female jumping spiders. Females commonly mated only once in their lifetime, and few mated more than twice. After mating, females were generally unreceptive to subsequent males, fending them off with their legs and turning away. This effect was immediate and, importantly, often persisted for their entire lifetime. This suggests that female jumping spiders may be able to store and use sperm from their first mating for the rest of their lives. While mating-induced sexual inhibition plays a large role in many spider species, further research should explore the mechanisms and evolutionary implications of this behavior. 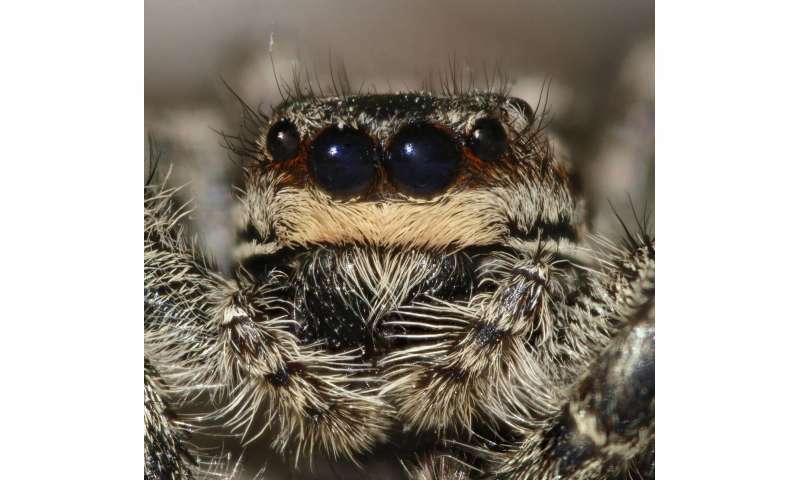 Mendez states: "Females are the gatekeepers to male reproduction - female jumping spiders commonly mate only once in their lifetime and so there is great competition amongst males over virgin females."